Insurance is a topic many collectors shy away from because it involves adding and words you have to look up on dictionary.com. Others may harbor objections that are more idiosyncratic. 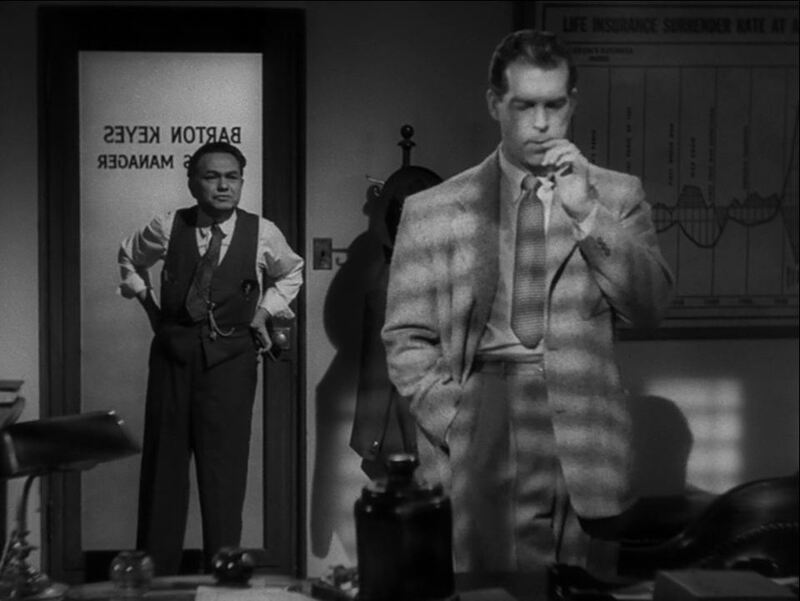 Personally, whenever I think of insurance, I think of Fred MacMurray in Double Indemnity. I start wondering: "If I need to make a claim, how hard will it be to convince Edward G. Robinson that it's not part of some complicated ruse involving a dame, a train, and an ankle bracelet?" So when our friend Ross Barr offered to contribute a blog post to the SWCA, I asked him to tackle the subject -- and to make it seem non-threatening. Here's guest blogger Ross to ensure that you are assured in your surety of the finer points of insurance. In the same vein, I know more than a few collectors whose collections have a value that would make Bill Gates blush – well...probably not Bill Gates...but at least some lesser known and poorer person – that nonetheless haven't purchased insurance to cover their collections. You might be thinking: "Are they insane?! Why would someone with a collection worth several hundred dollars, or few thousand dollars, or tens of thousands, or...gulp...hundreds of thousands of dollars not spent a few hundred bucks a year to insure against fire, theft, earthquake, acts of terror, clumsy children, jealous girlfriends, rabid dogs, intergalactic space battles, and their own drunken mishaps?" I have to tell you, I am not sure I understand it either. While, as I said before, it's not a priority to me to spend a ton of money to display my beloved vintage collection with museum quality, there has never been a question in my mind that insurance is an absolute necessity. In particular, before I insured my collection I often had a nightmare about my basement (where I house my collection) flooding up to neck high, and everything being forever ruined. I am sure many of us strange and illogical collectors have had some version of this nightmare. In fact, nightmares of this sort have happened to several fellow collectors: http://forum.rebelscum.com/t959320/#post16097758; http://forum.rebelscum.com/t910038/; http://forum.rebelscum.com/t1019923/; http://forum.rebelscum.com/t1016363/. Unfortunately, many other similar horror stories of damaged, stolen, and lost collectibles likely have occurred within our community. The threat is remote, but it's real. Of course, anyone would be devastated if this happened. And insurance proceeds could never replace the years spent building the collection, the many stories that are behind numerous pieces, or one-off or other rare items that may exist in one's collection. But the question every collector needs to ask himself or herself is: In that doomsday scenario, would you rather lose everything and have nothing to show for it or would rather lose everything and at least receive payment in the full amount of the current market value of your collection thereby in a sense numbing the pain of the loss, even if just slightly? In that sense, I believe that even reasonable people that aren't neurotic lawyers like myself would agree that the benefit of insurance to cover one's collection clearly outweighs the relatively low cost to procure it. With that as the backdrop, I did some research on the various options available to collectors to insure our collections. Since I am based in the U.S., the primary focus of this article is the following options available in the U.S.: (1) general "contents" coverage under a homeowners ("HO") policy; (2) an additional "personal articles" endorsement to the HO policy; (3) a stand-alone insurance policy through Collectibles Insurance ("CI"); and (4) a stand-alone policy through AXA Art / MiniCo Insurance Agency ("MiniCo"). I also briefly discuss some of the options available outside the U.S. My findings focus on the following characteristics of each offering, among others: (1) range of protection; (2) exclusions; (3) annual premium cost – I used round numbers and asked for the cost of coverage of a $10,000 collection and a $100,000 collection; (4) deductible requirement; (5) need to inventory / appraise collection; (6) claims process; and (7) any other noteworthy items. For your convenience, I made a quick reference chart to clearly demonstrate the differences and similarities of each option, and describe each in greater detail below the chart. (1) Protection. Burglary, theft, and fire are covered, but "mysterious disappearance" (i.e., an explained loss not involving theft), accidental breakage, items in transit and certain other losses protected by CI's policies (as discussed below) are not covered under contents coverage. Acts of terrorism and natural disasters are also not covered. Floods are not covered – except in the case of back up of sewers and drains – unless a separate flood policy is procured. Personal articles coverage augments contents coverage by adding mysterious disappearance coverage. (2) Notable exclusions. Not much else to mention other than that identified in the above chart. a. Contents Coverage. Since all of your possessions in your home would be included along with your Star Wars collection under contents coverage, it is hard to make an apples to apples comparison against the cost of insuring only your Star Wars collection through a stand-alone policy by a provider such as CI. Take me for instance. I already have contents coverage for everything else in my home, so ostensibly my collection is already covered. In any event, to try and get an apples to apples comparison, I asked my State Farm representative the additional cost it would take to add another $10,000 and $100,000 to my general contents coverage to cover hypothetical collections of that size. That additional cost would be a mere $6 and $60, respectively. That seems small, but in the interest of full disclosure, I have $450,000 in "dwelling coverage," $335,000 of which is all contents (as a neurotic lawyer, I always over insure), so I have already absorbed the real cost of HO insurance, so it's no surprise the cost of these additional coverage amounts is low. For someone with less insurance coverage in place before adding these amounts (i.e., someone not as neurotic as yours truly), the incremental cost of adding these amounts might be a bit higher, but I wouldn't think significantly more. b. Personal articles. For separate personal articles coverage for collections worth $10,000 and $100,000, the additional annual premium through State Farm on top of my current contents coverage would be $165 and $1,650, respectively. (4) Deductible. Under the contents coverage, the deductible on a $335,000 policy would be $2,238. For a personal articles policy, there is no deductible in the event of a loss. (5) Inventory / Appraisal Requirement. 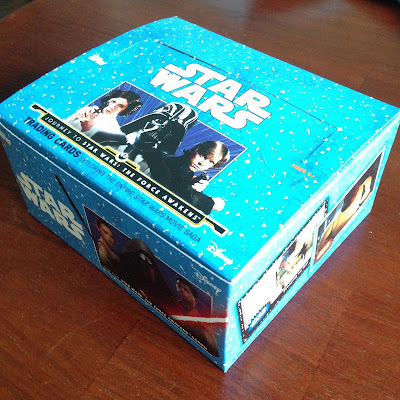 For any type of coverage under a HO policy – contents or personal articles – a detailed schedule would be required for items such as vintage Star Wars collectibles and an objective valuation of those items (State Farm suggests but does not require a third party appraisal) is also required in advance of coverage. Pictures of each item are also suggested by HO insurers such as State Farm. If the items have increased in value over time, that objective valuation needs to be refreshed in order to increase the coverage. (6) Claims Process. A claims adjuster that likely is not familiar with Star Wars collectibles will review claims and ask for any documentation the insured has with respect to value – purchase receipts, third party appraisals, pictures of the collection, inventory list, etc. The claims adjuster will review the materials and ultimately negotiate the agreed value with the insured. 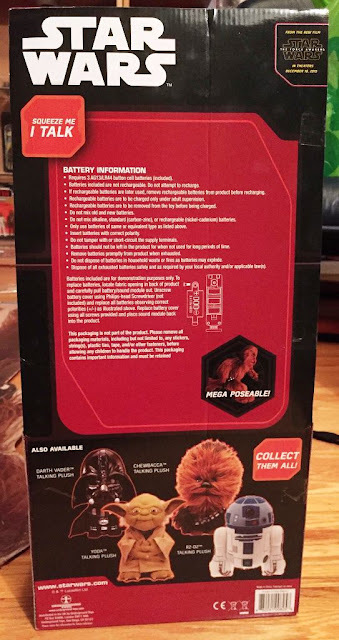 Given most claims adjusters' lack of familiarity with vintage action figure collectibles, there is a significant risk that without ironclad proof of the value of the item the claim payment will provide the collector only with enough money to replace, for example, a 12 back Vader with a Vader on a new The Force Awakens card as the "replacement" piece. In addition, the claims process could take months or longer as the adjusters are dealing with claims or insureds that have lost homes, etc. and would likely, in the claims adjusters' view, take priority to someone who lost their "dolls." (1) Protection. CI's policies cover many of the typical "losses" that a HO policy of insurance typically will cover, such as burglary, fire, etc. Importantly, however, it covers many categories of loss that neither "contents" coverage under a HO policy nor a "personal articles" endorsement to a HO policy (both of these concepts are discussed below) cover, including accidental breakage, flood regardless of the cause (with some exceptions for folks living in certain flood zones), earthquakes, and loss or damage in the mail. CI covers collections with an aggregate value of up to $1 million. (3) Premium Cost. Annual premium for collections valued at $10,000 and $100,000, respectively, as of September 2015: $67.50 and $463.45. (4) Deductible. No deductible in the event of a loss. CI also offers insurance coverage to toy dealers, which includes a $200 deductible in the event of a loss. This article, however, focuses on coverage available to collectors, so it intentionally omits a discussion of the dealer policies available. (5) Inventory / Appraisal Requirement. Along with its reasonable cost and lack of deductible, this is where CI really caters to the collector. Unlike HO insurance, CI does not require an inventory or an appraisal of most items in order to procure coverage at the outset. The coverage is "blanket coverage" of the entire value of your collection, without requiring separate scheduling of each item except those valued over $5,000 apiece. Only those high value items need to be disclosed in advance and separately scheduled. Still, as discussed below, keeping an inventory in advance may be helpful if you have to make a claim in the event of a loss. (6) Claims Process. In the event of a loss, the claims process is relatively simple. As described above, no third party appraisal of your collection is required. Instead, you would submit a detailed inventory of your collection – piece by piece, with your own view of value. Keep in mind, aggregate coverage will be limited by the aggregate amount listed on your policy, which you may choose to have automatically increase over time if you choose their "inflation coverage" (described in point (6) below). CI will then talk to experts in vintage Star Wars collectibles to audit the values you provided in case, for example, you listed a loose Lobot with a value of $5,000 (when we all know loose Lobots go for only $3-4,000...). The process is relatively quick – a few weeks in the event of smaller loss of a few thousand dollars or less; a few months in the event of a large loss of tens of thousands of dollars or more – due in large part to CI's general understanding of the collectibles markets. a. CI doesn't underwrite its policies. Instead, the coverage is underwritten by a company rated "A" by A.M. Best – the leading rating agency for the entire insurance industry. CI's site doesn't disclose the identity of that underwriter. b. Since collections tend to grow, you can adjust your policy anytime within the year. CI will simply bill you for the additional premium for an increase in coverage or, if there are several months or more left in the policy year, refund you the difference in premium for any reduction in coverage due to sale, etc. c. If you choose the "automatic monthly increase" option for new acquisitions, appreciation in value of your existing collection, etc., CI will apply an automatic monthly increase of 1% in coverage, up to a maximum of $1 million. d. As discussed above, CI offers coverage for dealers, which is beyond the scope of this article. (1) Protection. MiniCo's policies cover essentially the same losses as CI, including loss in transit, but unlike CI, MiniCo also covers mysterious disappearance or unexplained loss. Like CI, they cover collections with an aggregate value of up to $1 million. (3) Premium Cost. Annual premium for collections valued at $10,000 and $100,000, respectively, as of September 2015: $75 and $324. It is just slight higher than CI for the $10,000 policy because it has a $75 minimum annual premium, but it is about $140 less per year on the $100,000 policy. (4) Deductible. No deductible in the event of a loss. (5) Inventory / Appraisal Requirement. Like CI, MiniCo does not require an inventory or an appraisal of most items. Instead, they provide "blanket coverage" of the entire value of your collection, without separate scheduling of each item except those valued over $5,000 apiece just like CI. (6) Claims Process. In the event of a loss, the claims process described to me by one of MiniCo's agents seems somewhat of a hybrid between that under a HO policy and under CI. MiniCo will require an inventory of the items lost or damaged, along with an objective valuation of each item's current market value – purchase receipts, third party appraisal, ending auction prices on eBay or otherwise for similar items, etc. 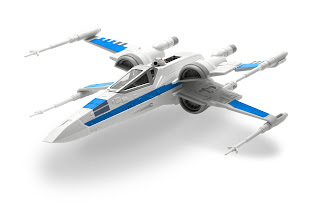 The onus of proof of value in the event of a loss is on the insured, and the claims adjusters employed by MiniCo and AXA, while they are generally familiar with most types of collectibles, may or may not be familiar with vintage Star Wars collectibles. (7) Other Noteworthy Items. Provides coverage on items lost or damaged in transit, and doesn't specify any carrier (e.g., UPS, Fed Ex, etc.) that must be employed to ensure coverage; they cover them all. However, coverage is included as to any item you have purchased that is in transit to you; it doesn't include items you have sold out of your collection that are headed to someone else. Some Options Available Outside the U.S.
• Anecdotally, I know two collectors that have insured their collections with CP. The annual premiums on those collections valued at £25,000 and £40,000 were £100 and £150, respectively. • As with CI and MiniCo, CP provides blanket coverage and doesn't require an inventory or appraisal in advance of coverage, although it requires items to be scheduled if they are worth more than £2,500. • A collector friend was told that in the case of a loss, coverage would be for the current fair market value of the items as of the time of loss up to the aggregate coverage limit, and that a third party appraisal would not be required. Instead, CP – who appears to have good knowledge of collectibles' markets – would "work with" the insured. - In Canada, there really is no stand-alone insurance option, but most insurance companies will allow you to schedule your collection under a HO policy without an appraisal for collections valued at less than $10,000. Nevertheless, some insurers require an appraisal in advance by a certified source even for collections worth less than $10,000, and most require it for collections worth more than $10,000 in which case the collector will also need to purchase additional riders to the policy, which will of course cost more money. For collections worth more than $50,000, the insurer would likely require separate collectibles insurance policies, which most don't offer in the first place. Shane Turgeon, located in Alberta, is a well-known and respected member in our community who is one of only two people certified to appraise toys in Canada for scheduling under HO policies or otherwise. The other person is a toy dealer named Michael Heddle, who runs a store called Bounty Hunter Toys in Hamilton, ON. Joe Fiore, another well-respected member of our community, is working on his certification to be able to offer the service in Southern Canada. - In Germany, one collector informed me that stand-alone collector policies like the ones offered by CI, MiniCo, and CP exist. They are not endorsements to a HO policy, but in fact stand-alone policies. Apparently, most big insurance companies such as Allianz offer these policies in Germany. 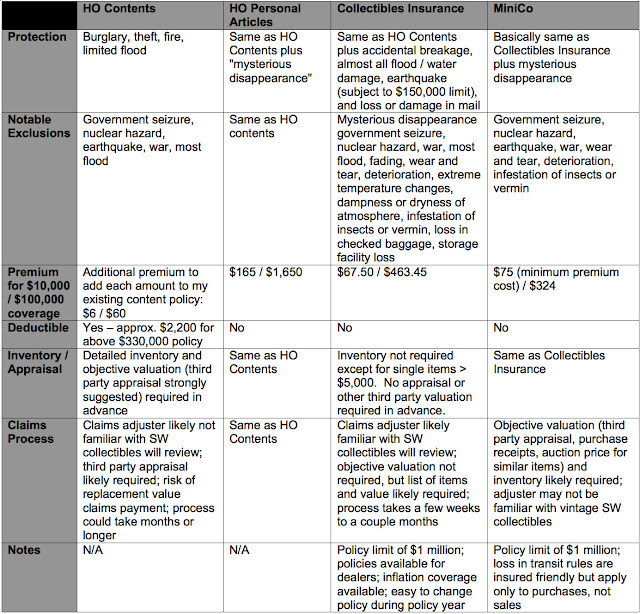 - Other collectors surveyed from other countries including Ireland, Mexico, France, and others simply insure their collections under their HO policies. Confused by all of this? While I certainly hope not, I know it's a lot to take in. As such, I hope the reference chart helps and I will try to summarize below what it all means. If you want the cheapest option, your best bet is likely to wrap the value of your collection into the HO general contents coverage you likely already will have procured anyway, so the additional cost to add your Star Wars collection is not significant. But the advance requirements under either HO type coverage – detailed inventory and objective, third party appraisal – might be onerous for most collectors, especially those with many pieces in their collections. Further, the claims process will likely be very difficult with or without that information when dealing with a claims adjuster likely unfamiliar with vintage toy collectibles generally and vintage Star Wars collectibles specifically. Certainly, the generally higher cost of personal articles coverage makes very little sense to me when compared with the relative affordability of the stand-alone options available. As to the stand-alone options out there, while I am really intrigued by MiniCo and will certainly get a quote from them next year when it is time to renew my CI policy, my research confirmed to me that CI still is the best available option out there. CI and MiniCo have many of the same benefits as compared to the HO options, but what I believe separates CI is the ease of the claims process, the ease in changing the policy during the policy year, and the coverage of items both sold and bought while in transit. At the end of the day, whether your collectibles insurance policy requires you to do so in advance or not, I certainly recommend keeping a detailed inventory of everything in your collection, including a current statement of fair market value for each piece individually and your whole collection in the aggregate. If you have items graded by Collectible Grading Authority, Inc. (the parent company to Action Figure Authority (AFA)), I would also recommend including the serial numbers for those items in your inventory. Anecdotally, I am aware that in the past items stolen from collectors have been identified when subsequently sold on eBay or elsewhere by the AFA serial numbers. Finally, keep pictures of your collection handy. It's not just fun to share those pictures with your fellow collectors; those pictures may also be useful in the event of tragedy. If you have any questions about any of the above, or would like my advice in choosing the option that best fits your budget, your risk tolerance level, and your collection, feel free to contact me on Facebook or email me at rossbarr@gmail.com. Sometimes a journey forward is one that takes you back. I recently succumbed to collector peer pressure and purchased some of the first trading cards I've bought in quite a long time. Now, just to clarify, I'm not talking about virtual cards. I'm talking about tangible, cardboard printed cards that actually take up physical volumetric space in a collection. In the past I was an ardent card collector and trader in my youth mainly because my brother needed someone to trade cards with. 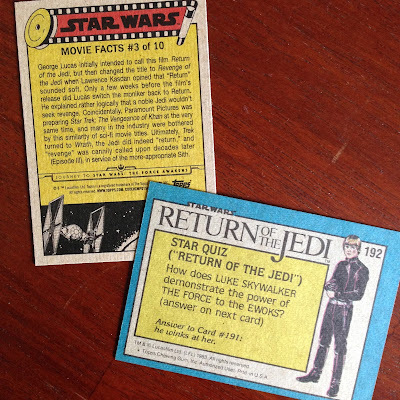 We used to trek down to the corner store and spend our allowance on packs of cardboard movie trading cards. Being the younger sister, I learned the hard way not to trade my one of a kind cards in exchange for duplicates I already had and that the hard gum included in the packs lost its flavor instantly. 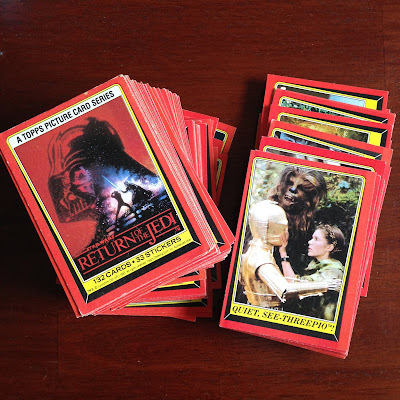 Needless to say, I burned out on trading cards long, long ago and contented myself by buying completed sets instead. Fast forward to today, as if we didn't already know, we are currently in an era of Star Wars collecting that is pandering to the vintage collector. Topps is no different, with a current slogan of 'Rediscover Topps. The story of collecting lasts a lifetime.' They've recently offered up the artwork of vintage Star Wars packages as metal wall art. And this fall there is a multi-volume set of books that will contain the original card art. 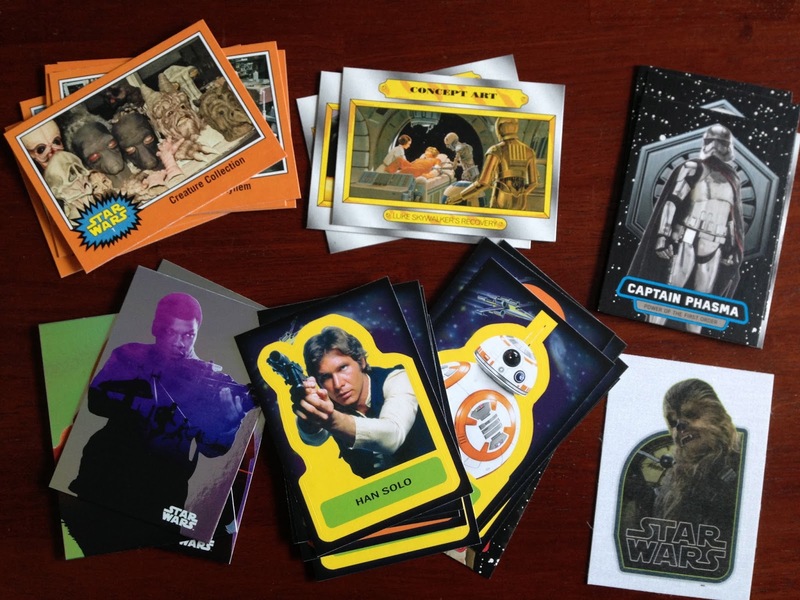 Beyond that, Topps recently released Journey to Star Wars: The Force Awakens trading cards that are chock full of nostalgia. The wrapper may not give the feel of vintage but opening a package will definitely take you back in time (minus the gum). 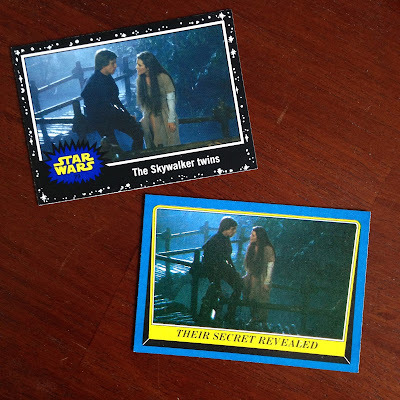 Inside this set are concept art cards and behind the scenes cards similar to The Empire Strikes Back Topps cards. The sticker cards are reminiscent of the ones in the original Star Wars trading card sets. 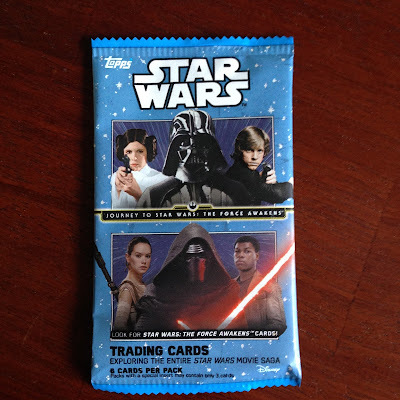 Of course, there are the more modern foil and cloth insert cards featuring characters from The Force Awakens. But even these modern cards have a throwback quality to them. The artwork looks like something straight out of the Star Wars Iron On Transfer Book from 1977. The basic set of cards themselves are framed with a white star field background. The images take you through the story of Star Wars from The Phantom Menace all the way to The Force Awakens without giving away any spoilers along the way. The Force Awakens cards have no text on the back and instead are part of a large poster mural that you can complete by collecting all the cards. Sound familiar?! On the reverse side, ah, a familiar sight! Cardboard backs with those basic colors, framing a few simple words. Now, after having opened all my cards, I have to make a confession, I didn't just purchase a pack or two. I purchased a box. I did this because my previous experience back in the day led me to believe you could complete a whole set by buying a box. Goes to show what I know… I do not have a full set. 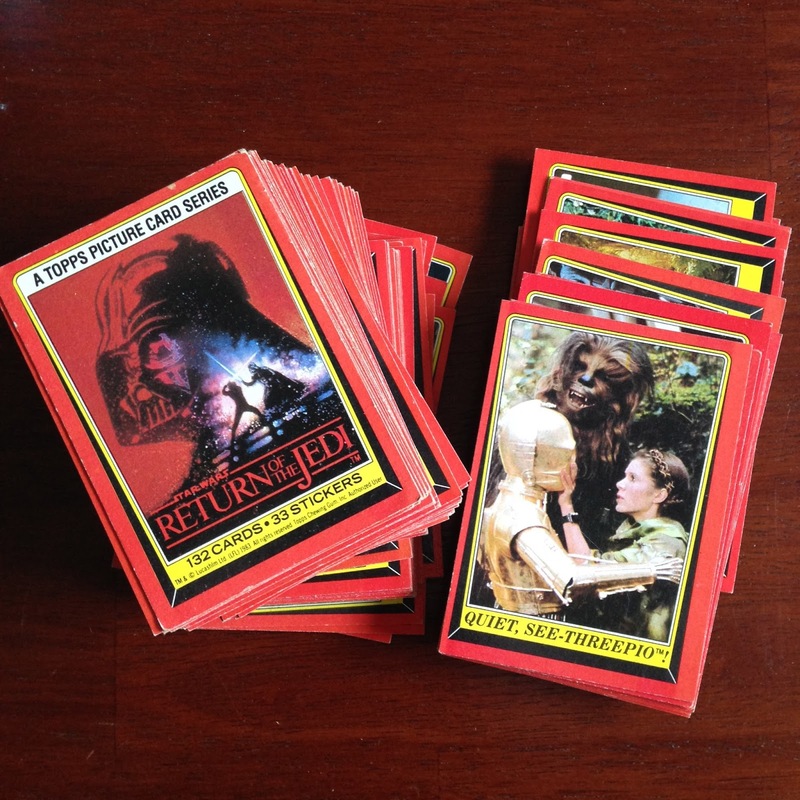 Thankfully, unlike the 80's I have a global network of Star Wars trading card collectors to trade with. 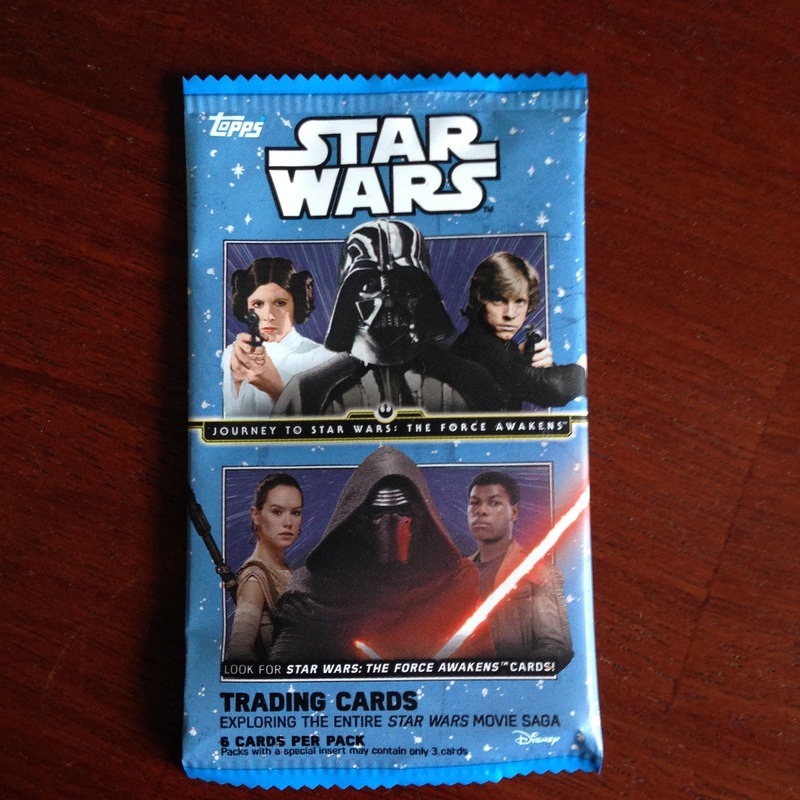 And this is the best part of trading cards that I have yet to truly experience: trading. Trading with friends for the cards I need in exchange for cards they need. To me, this part is more exciting than opening the actual packs. Happy collecting and when it comes to completing this set, may the Force be with you! 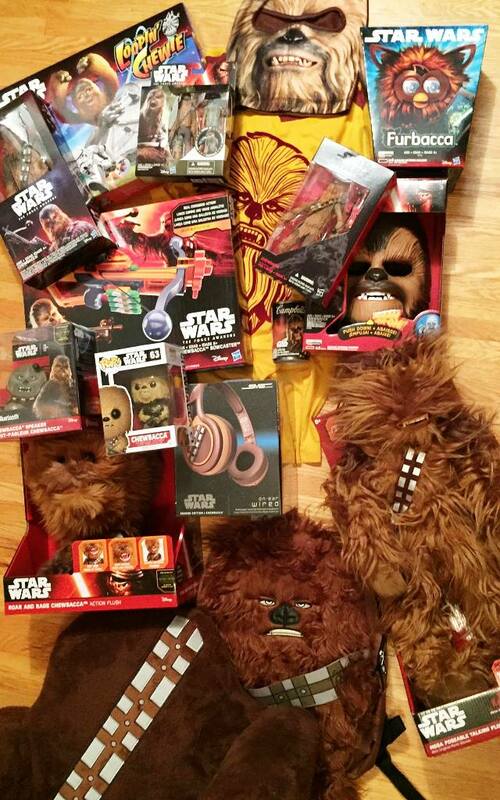 As a Chewbacca collector with a birthday in mid-September, you can imagine that I got a ton of stuff. Hidden among the headphones, Furbys, action figures and soup cans was the “Super Poseable Talking Plush Figure.” It is an awesome, large size highly poseable doll that roars the Chewbacca roars, wears the Chewbacca bandolier and has Chewie’s baby blue eyes. 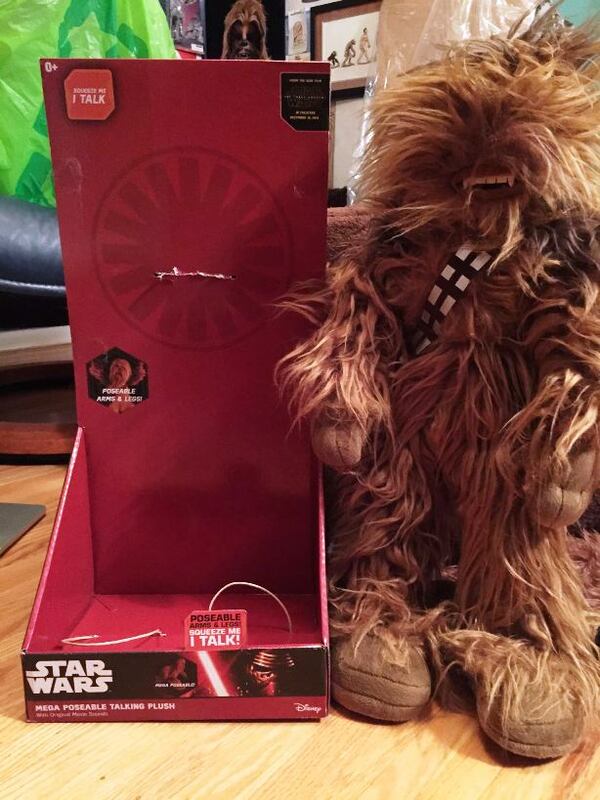 And then, my father noted that it does not say Chewbacca ANYWHERE on the box. I mean nowhere. Front. Back. On the tag. Nowhere does it say his name. Among the literally thousands of Chewbacca related items in my collection, this is the only toy not to carry his name. 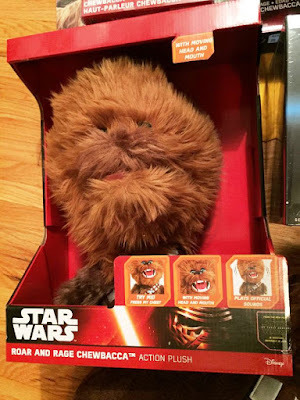 It is worth emphasizing that even the other talking Chewbacca plush toys released on the same day do use his name (particularly the amazingly cute “Roar and Rage Chewbacca”). So, what is the deal? Why does this Wookiee with the same eyes, voice and bandolier of Chewbacca not carry his name? Why is he affiliated with the new bad guys? At this point, I’m just going to call him “Whobacca.” As in, who is this? Evil Clone? Return of Snoova? Does Chewie go to the dark side? Is this a “First Order” Wookiee? 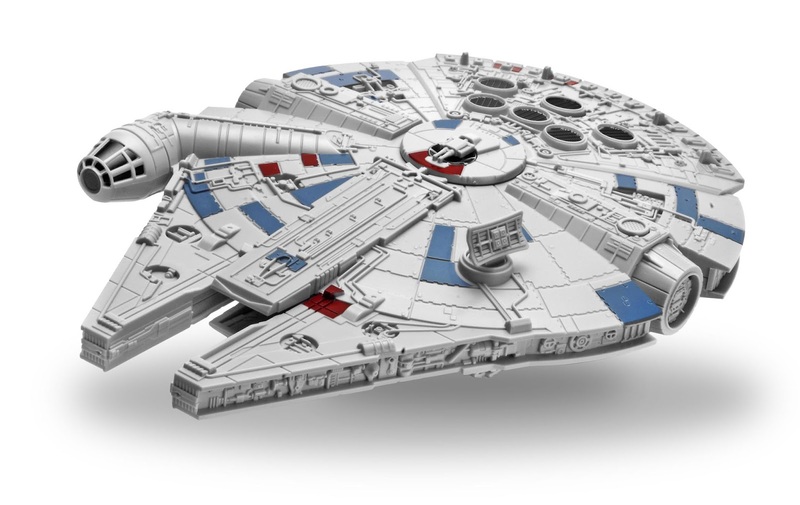 Our next Celebration Anaheim Collecting Track Panel provides a look at the history of Star Wars LEGOs, presented by James Burns and Duncan Jenkins. 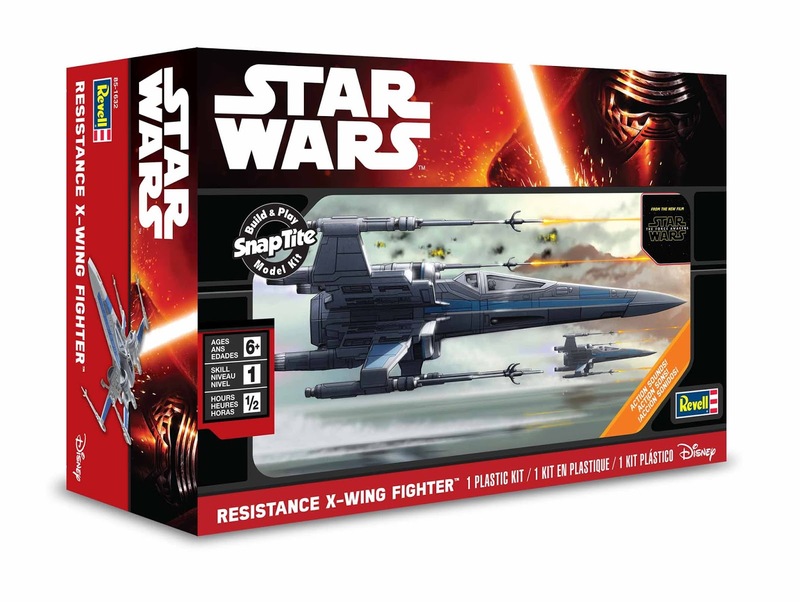 As the Labor Day holiday weekend comes to a close, so does the initial wave of Star Wars merchandising chaos that was unleashed worldwide on "Force Friday" -- the official debut of licensed products for The Force Awakens. As a vintage collector by nature, I had truly expected to emerge unscathed in its wake. I would maintain my collecting composure and fight off any temptation to spend a single cent on an item representing a film I hadn't even seen. It all began with an innocent invitation from some coworkers and fellow Star Wars fans (one a Hot Wheels enthusiast and the other a Funko Pop Toys collector) to hit the town and scope out all of the Force Friday mayhem. Living in the enormous urban sprawl that is Los Angeles, there was bound to be a crazy turnout and a plethora of cool new Star Wars stuff that would be neat to at least take a look at in hand. And without any kids of my own to buy new toys for, this would be a fun way to collect vicariously with two friends that had modest Force Friday shopping lists. Ultimately, we were only able to get into one Toys 'R Us store that had a shockingly unimpressive display and meager selection. On top of that, we had waited outside in a relatively short line for over an hour-and-a-half to gain entry. It was as if we were trying to get into a hot night club on a Saturday night. As we abandoned hope just after 2am after arriving at a Target that had just closed for the night, my friends' disappointment was palpable. The next afternoon I pulled into a shopping complex to get some lunch and compulsively decided to stop by a Target just to see if they had more to offer, and to look for the things that my friends weren't able to find the night before. To my surprise, a few of those were sitting on the shelves and I immediately scooped them up. Then, something happened which I'm still struggling to completely come to terms with. 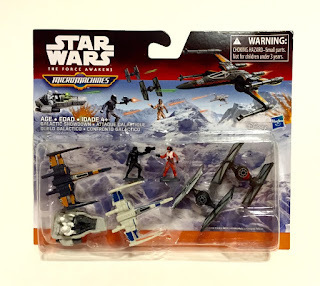 My eyes were drawn to the newly revived Micro Machines that were remnants of the store's otherwise decimated Force Friday stock. Before I knew it, I was walking back to our car with two shopping bags full of the first newly-released Star Wars toys I had bought in nearly 10 years. I was feeling excitement and disgust, satisfaction and regret -- all at once. For reasons beyond my comprehension in that moment, I succumbed to this incredibly creepy talking Kylo Ren figure's words: "Don't fight it...you know you can't..."
One of the objectives of this post is an attempt to analyze how and why I found myself in this position. The other is to highlight the new line of Micro Machines through comparing them with and reminiscing about some of the playsets, vehicles, and figures from the original Galoob line from the mid-1990s that I unearthed while visiting my childhood home over the holiday. As it turns out, these little things embody a unique character trait of my collecting personality. I'll be the first to admit that for a good portion of my collecting life, my fandom and collection were intertwined. In addition to collecting the vintage line, I collected the majority of 3 3/4" action figure toys from the POTF2 line all the way through Revenge of the Sith. That last "midnight madness" in 2005 was actually the first I had ever attended (as I figured that it might be my last chance). It was fun, but with my collecting interests increasingly focused on vintage and my relationship with the new films as a fan beginning to strain, I started to question whether it was really worthwhile for me. After the third prequel's release, there was an immediate disconnect which triggered a complete psychological shift. I was saddened by the fact that Star Wars had gone out on what I considered to be an undeniably disappointing note. I had also come to the realization that my collecting and fandom had become truly different aspects of my life, and didn't need to be so interconnected anymore. Several months later, my modern collection was out the door for good. Flash forward to the present with a new film on the horizon. Up to this point, the build-up to The Force Awakens has certainly challenged my previous tendency to subdue enthusiasm for anything new that the franchise has to offer. The return of classic characters and vehicles coupled with an overemphasis on "practical effects" and shooting on film in Disney/Lucasfilm's calculated marketing approach has definitely caught my attention, though I've constantly reminded myself to reserve judgement and keep expectations in check. Separating my collecting from my fandom (much like church and state) was not going to be a problem. That is, until I saw that Hasbro was bringing back Micro Machines. 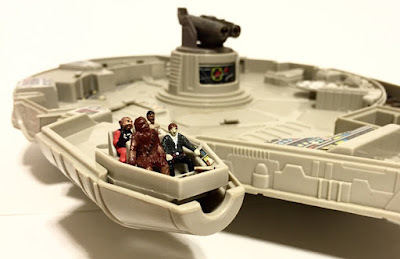 Galoob's Micro Machines were the first Star Wars toys that I really considered my own. They were also the first that I was able to buy in a store by my own volition with my weekly allowance. There were characters and worlds that I could only loosely replicate with the limited (though cherished) vintage toys I had at the time. Needless to say, I was one hooked 8 year old. Furthermore, while initially excited by the new figures in 1995, they didn't come close to my Micro Machines in terms of quality and quantity of play and enjoyment. Coming into Force Friday, I was looking forward to the experience of seeing Star Wars Micro Machines in the toy aisles once more. Upon seeing them, they became a convergence of collecting and fandom that eclipsed anything I had experienced during the prequel era. 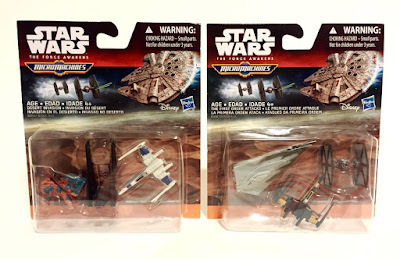 It was that familiar fondness for both content (TIE Figthers, X-Wings, the Falcon) and object (the Micro Machines brand) that was simply not present before, and impossible for me to resist. 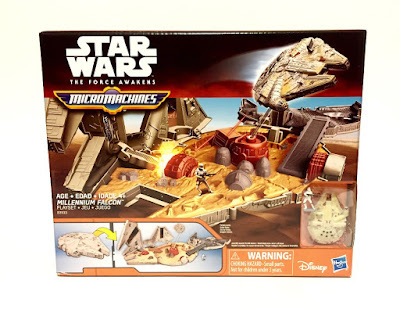 Hasbro has brought back several Micro Machines staples for the new line, including themed vehicle 3-packs and "Deluxe" sets including corresponding figures, as well as transforming vehicle and character-based playsets (for anyone unfamiliar, this television commercial is all you need). They've also "re-issued" classic vehicles from the original line and even included new sets from Episodes II and III (which never had Micro Machines) -- all of which were astute moves. Lastly, they've introduced a set of single "blind-bagged" toys, which I'm honestly not all too thrilled about, but kids are sure to enjoy them. To keep things simple, I decided that I would only pick up the sets pertaining to the new film and see how that went. 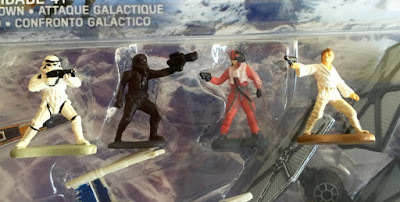 Though the packaging for the new playsets lacks the nifty original artwork present on the Galoob packaging (some of which was created by Ralph McQuarrie -- a tough act to follow), they still capture a similar spirit and are pleasing to the eye despite all of the business requirements for today's toy packaging. 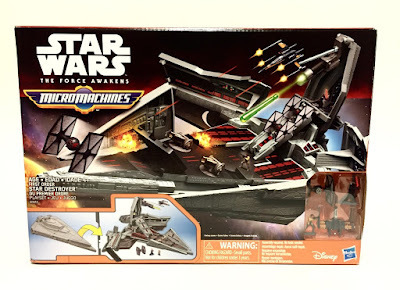 While the First Order Star Destroyer set is decently large, other playsets seem to have been slightly scaled down compared to their Galoob counterparts. 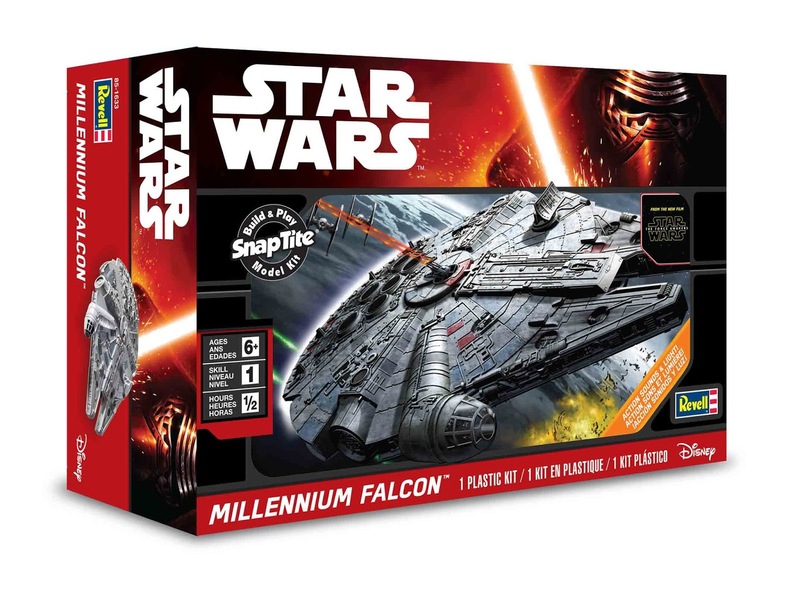 For example, the new transforming Millennium Falcon playset is somewhat dwarfed by the original released in the 1990s, which was one of my most anticipated toys as a kid (I had one on layaway at our local K-Mart for weeks on end). A sticking point that both the original Galoob and new Hasbro lines share is that of comparative scale. This is impossible to avoid when it comes to the mismatched sizes of vehicles and figures (and really applies to most Star Wars toys). However, the new line exhibits some additional inconsistencies. Some of the new vehicles and figures roughly match the scale of the originals while others are noticeably larger, which is a let-down. Also missing are the small clear plastic stands for displaying the ships that were included in the original line. These were especially helpful for certain vehicles to stand dynamically on their own. Finally, though the 3-packs and deluxe sets are very reasonably priced, the number of vehicles and figures included in the playsets has significantly decreased with these new offerings compared to the originals, which is frustrating given their retail prices ($19.99 for the transforming character sets, $29.99 for the Falcon, and $39.99 for the First Order Star Destroyer). These shortcomings aside (as well as any The Force Awakens may end up having as a film), I think it's absolutely great news that Micro Machines are a part of the new Star Wars product catalog. Even better, they've kept the line's classic slogan: "Remember, if it doesn't say Star Wars Micro Machines...it's not the real thing!" For anyone interested in the history of the original Micro Machines line, I'd highly suggest checking out Part 1 of Tim Veekhoven's new feature on StarWars.com. 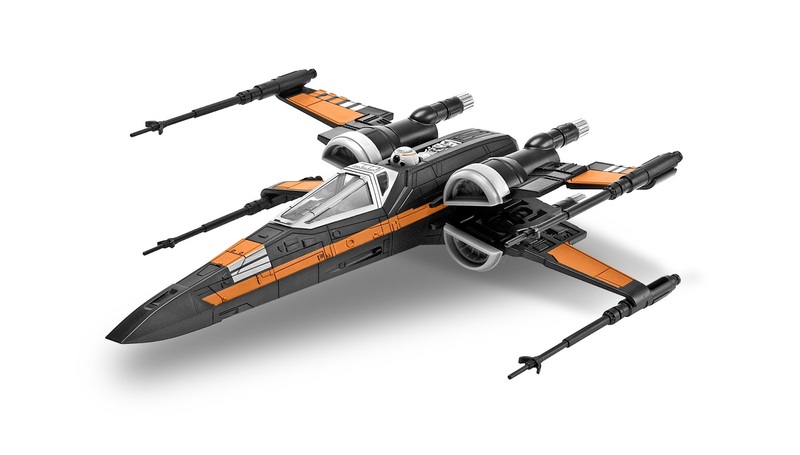 With the sudden surge of Force Awakens products hitting the shelves over the next few days, it’s easy to be overwhelmed and lose sight of some awesome items that might otherwise run the risk of falling through the cracks. With that in mind, Yehuda and I want to once again give a shout-out to friend of the SWCA, Revell models. If you recall, Yehuda and I had the opportunity to speak with the representatives of Revell at Toy Fair and then again at Celebration, and we were both won over by their enthusiasm for their products and their friendliness with collectors. I liked their whole attitude. And their models. So, if it seems like I’m gushing about them, I probably am. Because I like nice people. And I like cool Star Wars stuff. As part of their Force Friday announcement, Revell sent us pictures of their first 4 SnapTite® Build & Play™ model kits, and I gotta say, I’m really excited about these. Probably more than any of the other Force Awakens stuff, to be perfectly honest. I think they have a cool vintage vibe to them, back when toys were fun and designed to be opened and played with. To start with, I think their boxes are awesome. 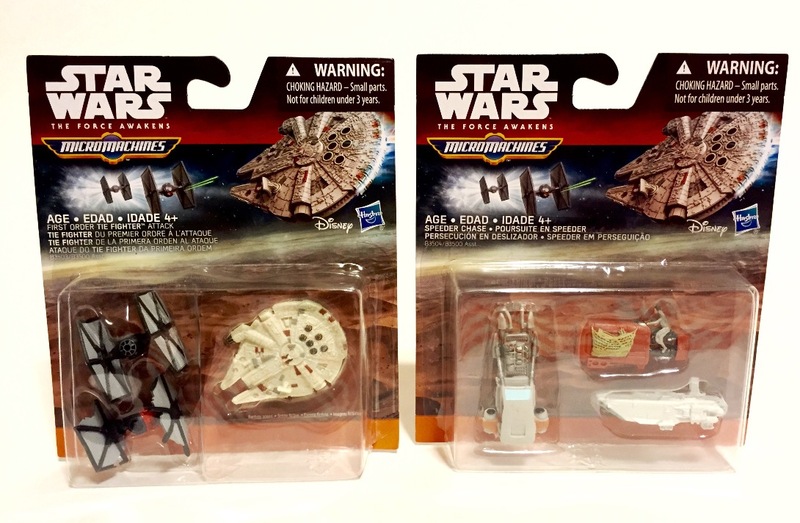 They’re using the same basic design color scheme that Hasbro is using (you can read our review of Hasbro’s package design here), but Revell simplified the cluttered look which plagued many of the other licensees' packages and really made the vehicles pop. They look fast and cool and make you want to play with them. 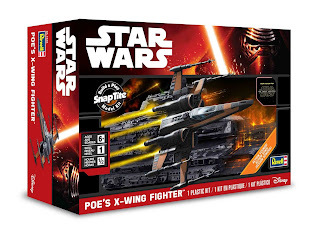 Of the models they’ve released images of so far, I think Poe’s X-Wing is probably my favorite. It just looks… fun. It’s a cool size and it looks super detailed. From the pictures, I certainly don’t doubt it. They look really nice, especially since you can put them together in so short a time and they’re already painted. Which sounds involved and awesome and something I’m going to have to work really hard to be worthy of completing. The last time I tried to put together a model that complicated, I was 8 and ended up gluing newspaper and the box to the model to the kitchen floor. 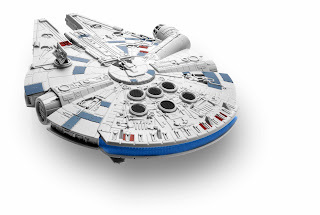 But I’ll have fun looking on in awe as Yehuda no doubt assembles all 900 pieces of the Master Series Falcon in record time and makes it look like an LFL prop model or something. Or not. But either way, it sounds like a lot of fun trying. 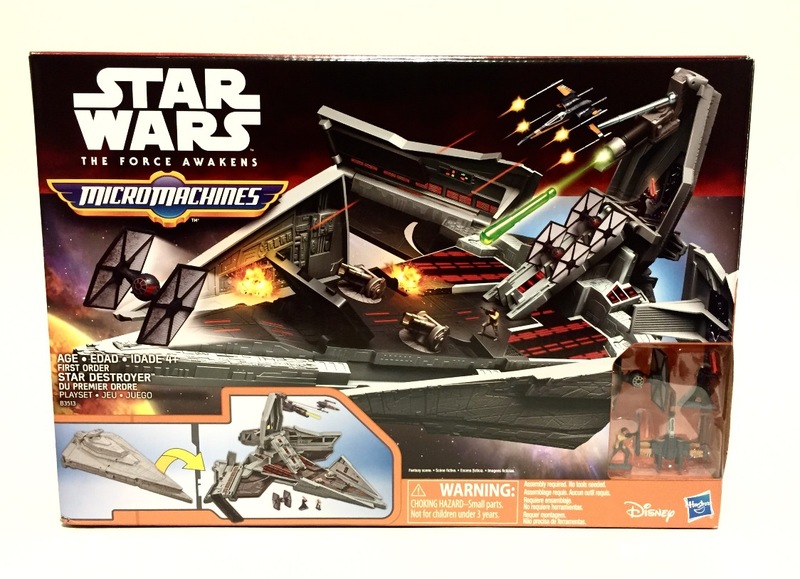 Finally, a small thing I noticed that I would also like to commend them for: their ad for the TIE Fighter model features a girl putting it together. You don’t often see that in a world where Star Wars toys are traditionally seen as the domain of little boys, but as a volunteer in a class filled with 4th graders, I can assure you that little girls like Star Wars just as much as little boys. Nice to see a company understand that and make sure that everyone feels included. Well done! They also sent us a few more of their ads, which show the models in action and the assembly process. I like the simplicity of the ads, emphasizing their fun rather than overwhelming you with explosions or extraneous visuals, like most commercials of this kind do. All in all, the models look like a ton of fun and they’re only $19.99, batteries included. How can you go wrong with that? To be completely honest, again, I haven’t put together a model since I was a kid. But I’ll buy these. Join presenters Amy Sjoberg and Jarrod Clark as they celebrate the love we all have for domestic and international Ewok collectibles that were released after Return of the Jedi. Surprisingly, while 1984-1990 had little to offer to Star Wars collectors in general, Ewok collectors had plenty of reasons to rejoice. From Ice Capades to Disney parks, cartoons and Ewok movies, this merchandise may surprise you. Guest blogger Yehuda Kleinman returns with the third in his series of posts on Palitoy products. 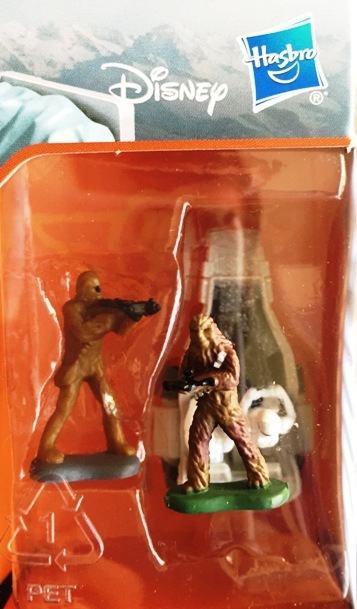 One of Kenner's earliest and most popular playsets was entitled "Land of the Jawas." The toy offered American children a new and innovative approach to recreating a movie environment. Its durable plastic base featured built-in action features and was sturdy enough to support a somewhat delicate (but still cool) version of the Jawa Sandcrawler. The Sandcrawler even included a functioning elevator. A separate plastic escape pod was also included so kids could recreate the scene from the beginning of the film in which R2-D2 and C-3PO escape from the Empire by crash-landing on the desert planet Tatooine. The cost of producing this toy was, as always, highly dependent on the amount of plastic required to manufacture it. All in all, it's a pretty great toy at a fair price -- just $7.96 from Woolworths. That's about three to four times the price of an action figure, if you're interested in comparing. The Land of the Jawas playset was a very successful product for Kenner. The company was able to parlay that success by reusing the toy's base for two playsets released in conjunction with The Empire Strikes Back: the Hoth Ice Planet Adventure Set and the Rebel Command Center. As you can see by referencing the photos below, the bases of both were injection-molded in white, rather than yellowish plastic. This provided Kenner with additional financial benefits: By recycling existing toy molds, the company saved money. 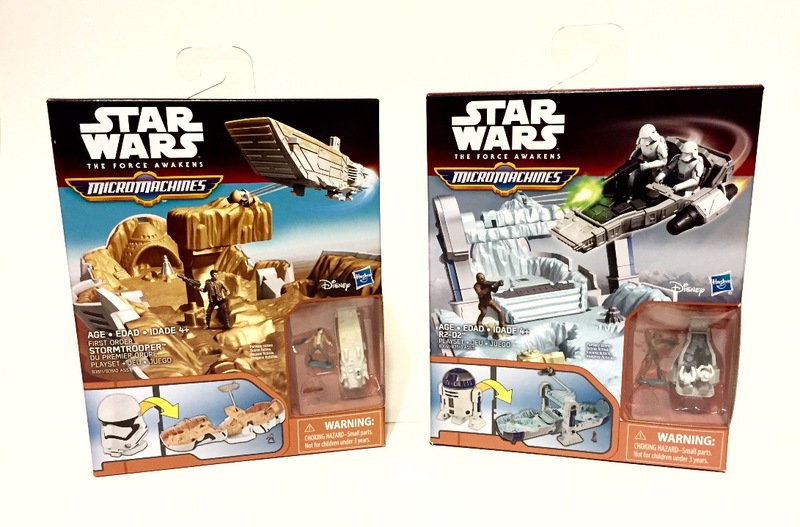 The new playsets were easily (and cheaply) updated through the addition of cardboard backdrops featuring scenes from the new movie. Now it was British licensee Palitoy's turn to be clever. They had to find a way to make a successful and fun playset with features similar to the Kenner product. And they had to do it within the constraints of a more limited budget. Would they be able to do that successfully while achieving a profit? Unlike the Palitoy versions of Kenner's Death Star and Droid Factory, the company's take on the Land of the Jawas managed to maintain an appearance very similar to its Kenner counterpart. 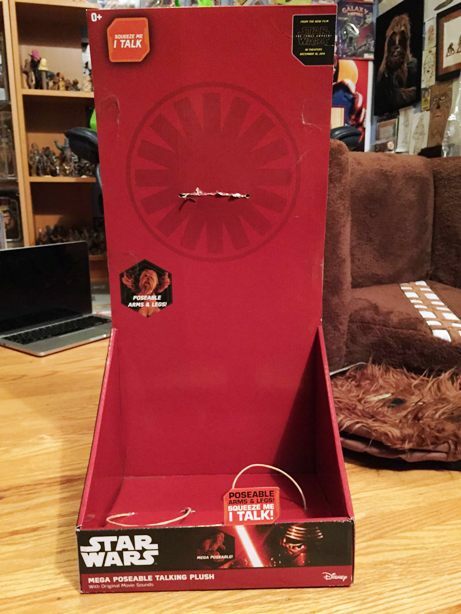 This was due to the fact that the major visual component of both playsets remained the inexpensive-to-manufacture cardboard Sandcrawler backdrop. The differences between the two sets can once again be attributed to the high cost of manufacturing in plastic. As Palitoy did with the Droid Factory, they rejected Kenner's base design and opted for a cheaper vacuformed version. Bolstered by a cardboard bottom, this new base was able to support the Sandcrawler backdrop. 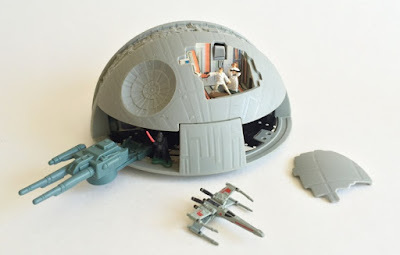 However, it did not allow for Kenner's molded plastic pegs which were intended to support figures, nor was it capable of housing the action levers familiar from the American toy. How did Palitoy manage to make this into a fun toy while skimping on materials? Through a feature that is one of my favorite aspects of this product: a standalone plastic figure stand that successfully mimics Kenner's built-in action levers using the most minimal of resources. Designed to accommodate two figures, this stand can be placed anywhere on the playset base and manipulated so that the figures appear to battle. It really exemplifies the cleverness and frugality that I love about this product. Palitoy succeeded in making something cool out of next to nothing! The set also included two circular plastic figure stands injection-molded in Tatooine yellow to replace the pegs on the Kenner base. The Palitoy version of the backdrop was equipped with an elevator. 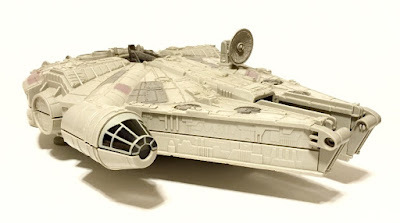 Its parts were completely different from those of its Kenner forerunner, but it functioned in much the same way. 2. 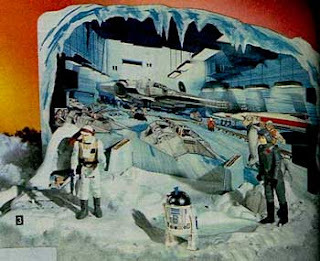 The Kenner set included four specialized figure stands intended to be screwed into the bottom of the Sandcrawler in order to stabilize action figures when they were being used inside the playset. Palitoy did not include these parts, though, oddly, their Sandcrawler does feature the punch-outs required to house them. Without a doubt, Palitoy's Land of the Jawas was a success that was true to the Kenner original, both in terms of cost containment and playability. Utinni!